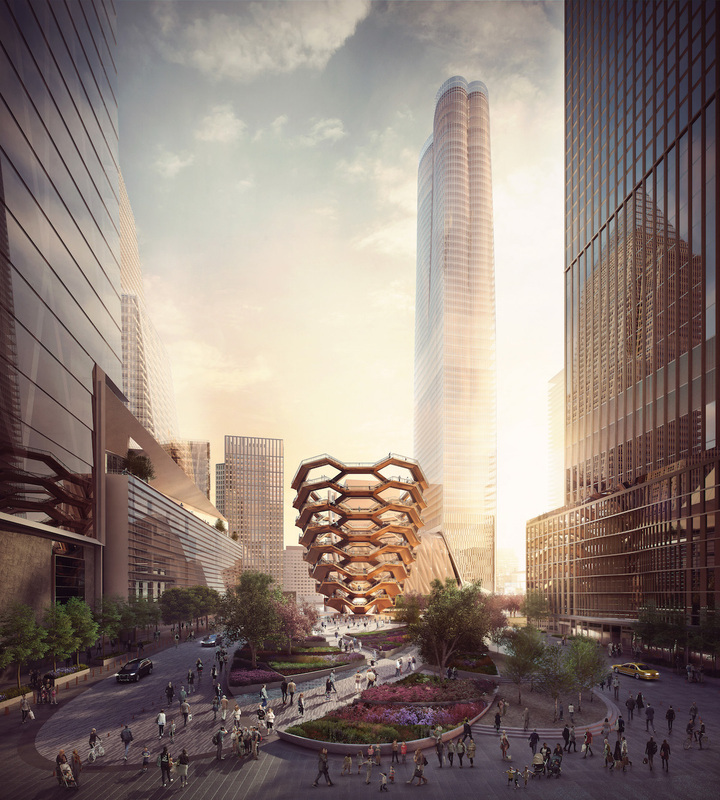 Related has received approval to incorporate the Hudson Yards Culture Shed into the site’s first residential tower, and the result is quite stunning. 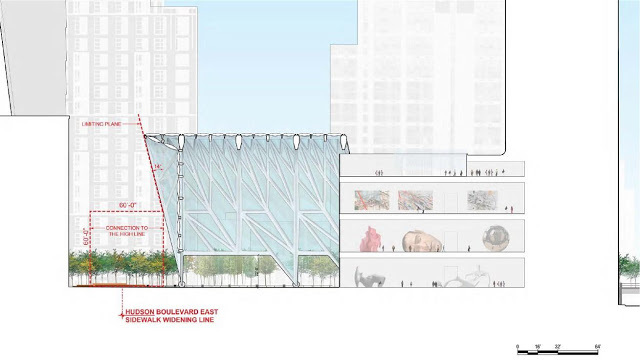 Designed by Diller Scofidio + Renfro in collaboration with The Rockwell Group, the Culture Shed will extend from the base of the firm’s residential Corset Tower, and it’s expected to be completed in 2015. The retractable facility will allow more permanent plaza space for the Hudson Yards, which will be very important given the future density. 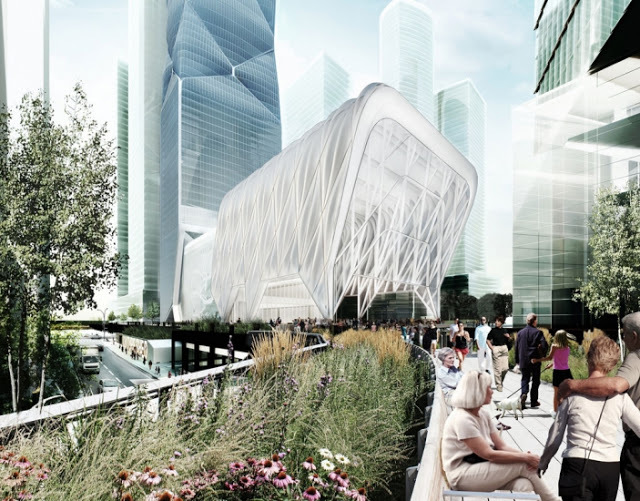 The Culture Shed will also be linked to the High Line, integrating the newly-famous park into New York’s premiere cultural venue. Though not as notable as the Shed itself, the facility’s impact on the High Line experience will be dramatic. Come 2015, two major cultural landmarks will bookend the High Line—The Whitney Museum’s expansion in the Meatpacking District, and the Culture Shed. Taken together, these two projects will create a ‘cultural corridor’ that could become the most iconic tourist destination in New York. This presents another problem, as the High Line is already quite crowded. Focusing on the High Line—which is quite narrow—and turning it into the center of an extremely dense neighborhood may be unwise, but it’s fair to say the walk will offer an unparalleled and awesome urban experience. Given the crowding, the High Line ‘walk’ may become more of a gradual shuffle. 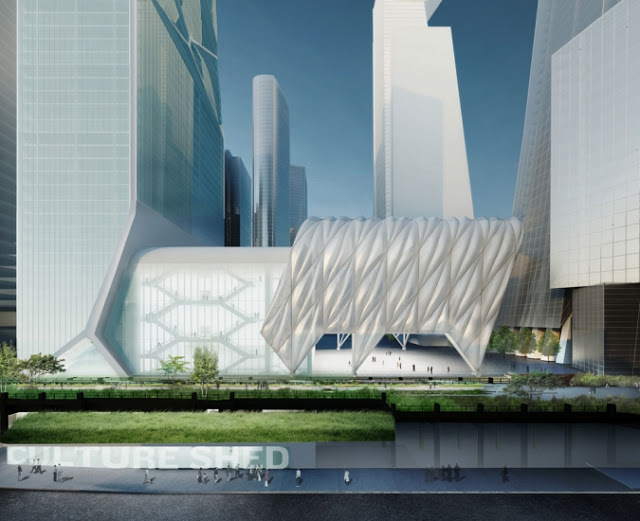 4 Comments on "Unveiled and Approved: The Hudson Yards Culture Shed"
This design only reinforces my conviction that New York City will experience a new “building renaissance” that will dwarf the last one during the 1980s. Not only the sheer volume of scale, but also the significant transformation of an entire community (the rail yards) into a social magnate. The Related Companies, Extell Development, Silverstein Properties, Vornado, Hines, Zeckendorf Properties and others are leading the way for this new phase in New York City’s history. All good points. 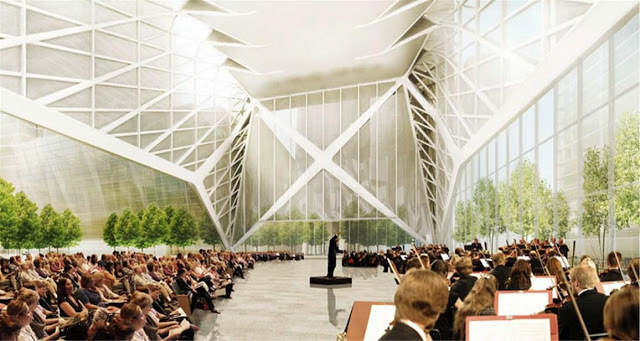 The West Side is finally booming, but once Hudson Yards is finished it will be much more complete, as the gap between West Chelsea & Midtown West is finally healed… though that will also involve the Javits redevelopment and several other projects.